Journey back in time to a frost-covered world and join Masha, her Nutcracker doll and the magician Drosselmeyer in this traditional tale for all the family. Journey back in time with Moscow Ballet to a frost-covered, gas lit world and join Masha, her Nutcracker doll and the magician Drosselmeyer in this traditional, festive tale for all the family. 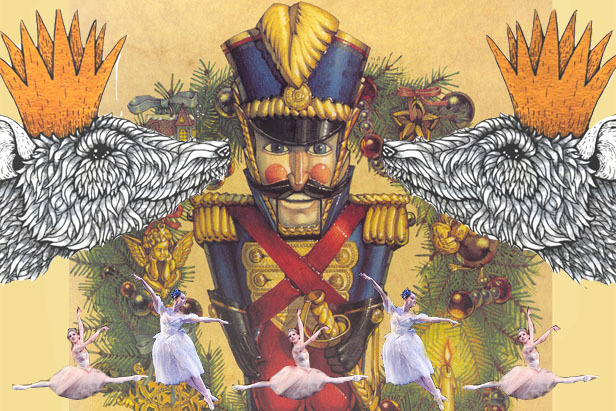 The Nutcracker is a two-act ballet, originally choreographed by Marius Petipa and Lev Ivanov with a score by Pyotr Ilyich Tchaikovsky, featuring the Dance of the Sugar Plum Fairy and the Waltz of the Flowers. The libretto is adapted from E.T.A. Hoffmann's story The Nutcracker and the Mouse King. It was given its première at the Mariinsky Theatre in St. Petersburg on Sunday, 18 December 1892. On an enchanted Christmas Eve, under the heavy boughs of the candlelit tree Masha battles with the Mouse King and falls in love with a handsome prince. As the air grows colder and snowflakes begin to fall, the girl and her valiant Nutcracker take a hot balloon ride across the frost-dusted town skyline to the glistening Land of Snow where her adventure really begins. This classical production is a magical, memorable and unmissable Christmas treat for the winter holidays.